A visit to Squamish is not complete without a trip to the local brew pub or distillery. With a variety of small boutique producers, Squamish is quickly becoming well known in the craft brew and distillery scene for its locally made beers, spirits and ciders. Explore the brewing & distilling culture, learn about the brewing process and get a behind-the-scenes look at the workings of these crafts and enjoy some of the many excellent brews with a delicious meal at one of Squamish’s tasting rooms. With three craft breweries, two cideries and one spirit distillery right in town, many local restaurants (and a chocolatier) feature menus built to showcase local beer, cider and spirits. It’s clear that a dedication to high-quality, locally-made brews and spirits is a key component of Squamish’s distinctive culture. New for 2018, pick up a Craft Tasting Trail Passport, collect stamps and earn prizes for sampling some of Squamish's craft beverages. For a trail map and more information click here. Tourism Squamish is excited to be a proud partner of the BC Ale Trail. Check out the best of Squamish’s craft beer scene, as well as a special beer itinerary for those who want to experience it all. Squamish Beer Festival is a one-day event highlighting a broad selection of over 40 craft breweries and cidery. Take a tour of Howe Sound Brewing and get a behind-the-scenes look at Squamish’s award-winning microbrewery where you’ll learn about its history, brewing processes and equipment as well as sample some of their handcrafted ales and lagers. Brewery tours average about 25 minutes in length and are available daily at 1pm. Larger groups are encouraged to reserve ahead by phoning 1.604.892.2603. Check out the tasting rooms at A-Frame Brewing, Backcountry Brewing, Cliffside Cider, Geo Cider Co., Howe Sound Brewing and Northyards Cider to sample the latest pours and Gillespie's Fine Spirits and Distillery for a taste of their fine spirits and craft cocktails by expert mixologists. 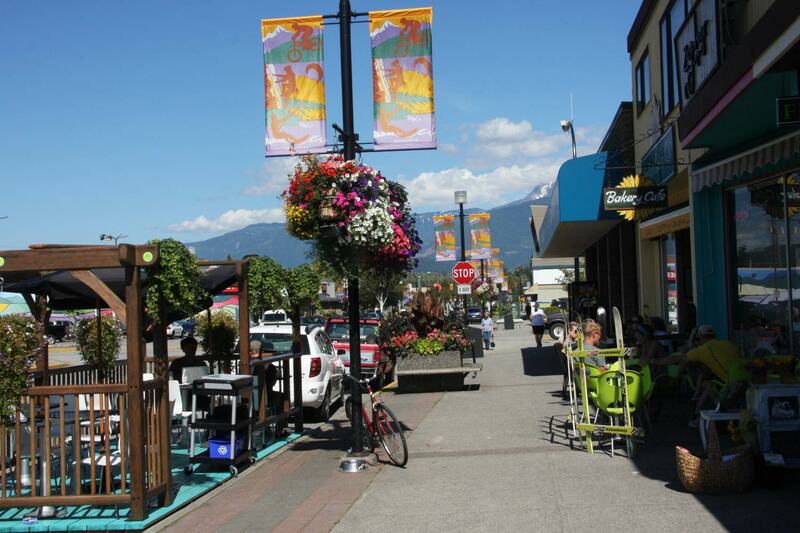 Downtown Squamish's main street is home to boutiques, coffee shops, restaurants, and a popular Farmers' Market. An outdoor celebration of craft beer culture in the heart of Downtown Squamish. 55 Breweries + Cideries. Live Music. Local Food. One Ticket. Complete the trail to win a prize!